What is preventing women from joining the tech industry? Senior executives, take a look in the mirror. Corporate environments need to get rid of bullies and cease abuse of power. My male colleagues frequently ask why there are so few women in technology. It has been reported that in 2015 in New Zealand the percentage was 21 per cent down from 23 per cent in 2013. 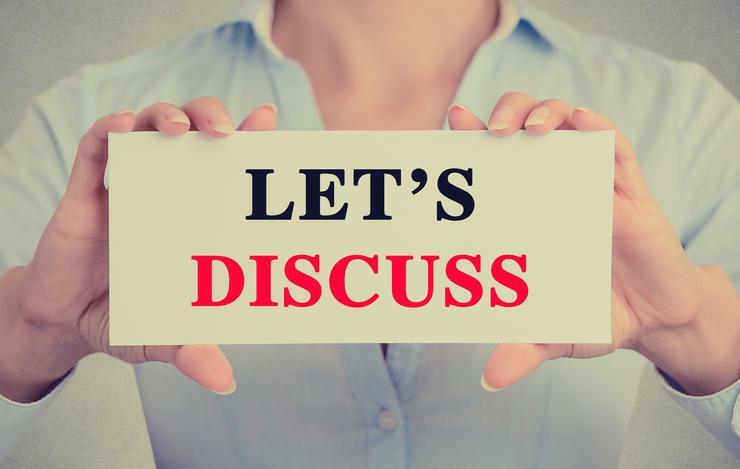 I like, and I am encouraged by, the fact that this is a topic of conversation, perplex or even just curiosity as it indicates progress, because it was not certainly something mentioned 10 or even five years ago. Although I am a believer and a practitioner of the guiding principle “the best person for the job”, I have consistently noticed, while hiring team members, a higher percentage of male applicants to women applying for technology jobs. And lately, this has happened in technology streams which had traditionally been filled by women such as business analysts and project managers. No stereotyping here, this has been my experience hiring people for more than 15 years. I remember when I had just started my career attending an interview during which the prospective employer said to me that for me to get the job I had to be much better than a man. Conversely, and very recently, I got selected to be part of an advisory board in Maori education looking for diversity for being a woman in technology. So attitudes have changed! It is widely known that under-representation of women is not just happening in the technology field, it is across all STEM subjects, senior and top executive roles, and board roles. In academia, the University of Melbourne, the School of Statistics in the Faculty of Science, is only accepting women candidates in three positions in Mathematics. Yes, that is reverse discrimination which required to change the Equal Opportunity Act. It is not the first time the School has done this, last year the Head of School saw this is a way to "add momentum towards equality through new role models in the school”. It has also been widely researched and published the positive impact of diversity of gender in organisations, which as I mentioned in a previous article of mine, it is just one aspect of diversity of thought. Read more What is artificial in artificial intelligence? Therefore, if the majority in the sector are men, it is very likely that they will hire professionals of the same gender. Every person suffers unconscious bias because it is determined by the way we have been brought up, our personal experiences and background, and all this “baggage” propels the brain to make quick judgements and assessments when it finds something or someone different. These may even contradict our most precious values. Needless to say it is not just about gender. We first have to become aware of our bias to be able to control it, and mitigate it. Just under one in three IT graduates were women and, as mentioned before, 21 per cent are employed in the industry per the most recent data available. Insisting on women to follow the path of application engineer is short-sighted. I know there are notable women in this field, but coding is not for everybody. It would be similar to say to medical students to become a paediatrician, when there is wide variety of specialisations. Going back to technology, the whole gambit is on offer: business analysts, project managers, data scientists, project co-ordinators, software configuration, infrastructure specialists, help desk analysts, trainers, and testers; and straddling across marketing: web designers, search optimisation experts, digital marketing, etc. Without dwelling into gender traits or gender expectations, studies using the Implicit Association Test (IAT) results have shown that most people tend to associate men with science and women with the arts, men with careers and women with homemaking, and men with being leaders and women with being supporters. Read more Why there are so few women in technology – can we go from discussion to action? 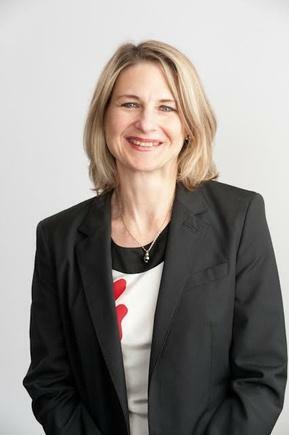 Aside from the pay gap, which has been analysed across the board in New Zealand and not specifically to industry sectors, which among others, indicates the pay gap increases the higher up the ladder a female reaches, it is most worrying that 80 per cent of that difference is unexplained according to this recent AUT research. Aside from the cases of sexual discrimination in global and leading technology companies which are discouraging -this is bad propaganda. Women participation decreased from 25 to 6 per cent in one year at Uber, where a director explained the dwindling numbers of women in the organisation by saying “the women of Uber just needed to step up and be better engineers”. In August, Google found flagrant discrimination and fired one of its engineers, who claimed that there are biological reasons women aren't equally represented in tech leadership, including “neuroticism”. Most recently, former female employees filed a class action lawsuit citing occupational segregation manifesting that women had the front-end roles because of a "false and gendered perception at Google that back-end software engineering is more technically rigorous, and therefore more prestigious", and that "almost all back-end software engineers were men”. Read more If Tom Peters is not giving up in search of excellence – why should I? I know many of my male colleagues would find the behaviour at these leading technology companies abhorrent. For peace of mind, I would encourage my male colleagues, and senior executives in general, to take a look in the mirror. Corporate environments need to get rid of bullies, cease abuse of power, and jockeying for positions. They should stick to meritocracy rather than gossip, as rolling names in the mud degrade those that incite it. Another pervasive behaviour is the air of self-importance and self-promotion, many times to indicate superiority, having the impression that talking assertively glosses over the quality of the message. I accept all this misbehaviour can be gender agnostic and affect women and men alike, however it affects women most. "Memo to the CEO: are-you-the-source-of-workplace-dysfunction" gives a good sample of this state of corporate misbehaviour. My colleagues can also take the test on gender bias on the AAUT (American Association of University Women) site. The test was developed during Project Implicit, a collaboration between Harvard University, University of Washington, and University of Virginia. Rob Campbell, former unionist turned professional director, and the “token male” during a panel for Radio NZ “Glass warfare” commented, referring to women on boards, that it is not a matter of women attending courses, that would not change the composition of boards. The men on boards who do not want women as colleagues are the ones that needed to be educated. I support and would like to extend this comment to increasing the participation of women in technology. Or, do we have to revert to quotas to promote inclusion? Transpower is one of the organisations participating in the Return to IT programme. 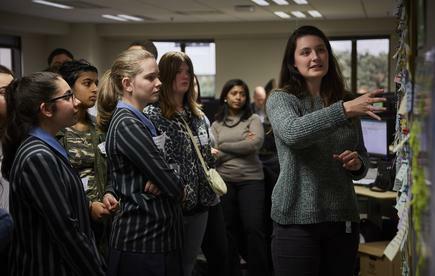 The company also supports ShadowTech Day, providing workplace mentors to female students studying Science, Technology, Engineering and Maths (STEM) subjects. Will digitisation change our view of leadership?